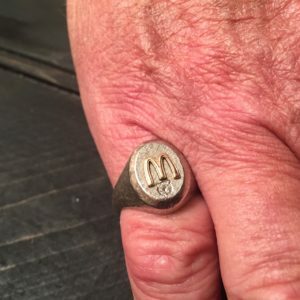 My father has had this ring for more than four decades. It’s from his time at McDonald’s where he worked his way up from burger-flipper to the corporate office. It’s a gold ring that features the famous golden arches above a single diamond. It’s rare; only a handful of them exist. It reminds me of my childhood. When I was a boy, I would slip it on my tiny finger. I was amazed how heavy it was and how big my dad’s hands were. Today, it’s more than just a ring. That night, Mom hopped back in the car, picked up a few girlfriends, and went back to McDonald’s with the express purpose of flirting with the fry guy. In the smoothest of moves, Dad offered to come to her house to wash that sweet car—and the rest is history. It was a match made at McDonald’s. She learned he was preparing to move to Oklahoma in a matter of weeks, so there would be no long courtship, only a couple of long talks and just one date. Incredibly, only three weeks after a quick stop at McDonald’s, my parents were engaged. He went off to manage a McDonald’s in Oklahoma City and she stayed behind in Michigan. They would fall in love through letters. It’s an unlikely love story that began in an unlikely place—two people, broke and somewhat broken from painful childhoods, found forever in a fast-food line. And together, they would heal. One night, Mom and Dad came over and sat around the campfire with my wife, two daughters, and me. We talked about their more than five decades together. We stirred up a lot of happy memories from that spring day of ’61 in a McDonald’s parking lot, to the time Mom tried to break up with Dad through a telegram, and from their first conversation, to the day he proposed. Dad brought the ring with him. I hadn’t seen it in years. I slipped it on my finger and I thought about all it represents. 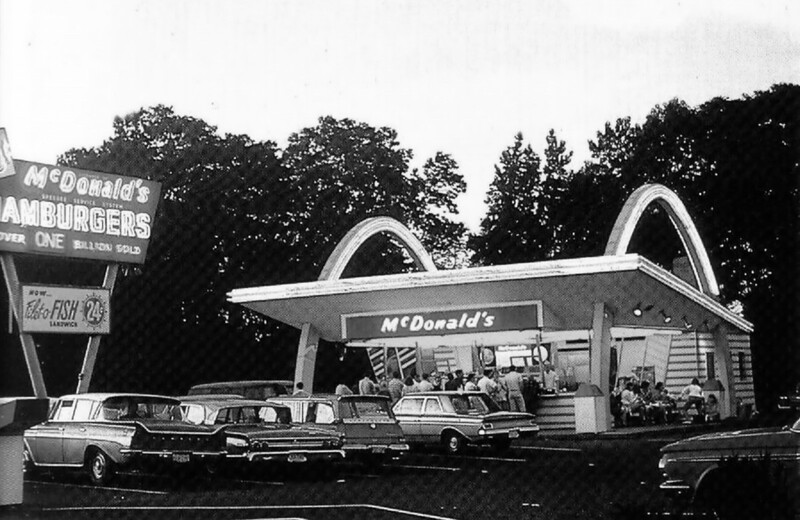 McDonald’s is where Mom and Dad met. They raised a family, spoiled their grandkids, built two businesses, and took care of each other. They’re still taking care of each other. And just like the ring, their love story is gold. It’s beautiful, soft, and rare. What a blessing it is to watch the story unfold.